Whether you have just finished high school and heading to university, starting out in your career, getting hitched or going through a separation – there will come a time in your life when you decide to move out of home or go it alone in a new abode. No matter why you’re moving out always stay calm and don’t make rash decisions. Are you ready to live independently? What are your options? Moving out for the first time is an emotional roller coaster. You will most likely be feeling highs and lows during this time, excitement at a new beginning and anxiety at the unknown. Be it moving out of your parents’ house or into an apartment on your own, this step is a major life change. There is a lot to consider both emotionally and financially. This guide put together by Mooving Matters packing services Sydney, is designed to alleviate this daunting life stage and reduce the stress and mystery of your pending First Ever Move! Here are some tips from the professional home organisers Sydney to help you fly out of the nest and hopefully only returning to pay your loved ones a visit. If you have you’ve been living at home, you probably had at least some kind of financial safety net. Now that you’re heading out on your own you need to have a better understanding of what a budget is and how it works. Leaving home or going it alone is expensive, and it doesn’t take long for lack of budgeting to lead to financial turmoil, so it’s essential to plan ahead. Your income and savings are key from the get go…so tuck away some extra cash in the months leading up to your move. In a recent A Melbourne University study it found that many young Australians were actually resorting to going without food and borrowing money to survive when they moved out of home. So to avoid this situation calculate your known monthly income minus your fixed expenses. Basically plan a monthly budget for food, bills, transport, entertainment and also some spending kitty. With the technology available currently, it’s really easy to get a picture of your spending habits and create a budget to stay on track. You can set this up yourself by using an Excel sheet, or you can opt to use a mobile app. When setting up or moving house there are also establishment fees such as the rental bond (usually a month’s rent in advance), phone, pay TV, gas, electricity or internet connection fees, as well as the set up costs of furnishing rooms or equipping a kitchen. Always pay any bills and rent on time to avoid a bad credit rating. If you want to buy a home later on, someone will be looking at how you managed financially. It’s also smart to take out home contents insurance, just in case of any accidents. If you are leaving home to discover the real world Congratulations, you’ve reached adulthood! It’s unfortunately no walk in the park, and no place will teach you this faster than in a fulltime job. 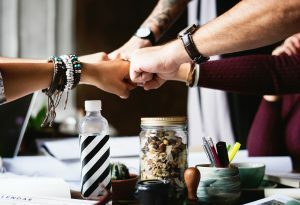 Most young adults start their climb to the top in some sort of entry level position with a not so crash hot salary but do not let this discourage you! Instead, use this job as an opportunity to utilise your talents and ambition and to plan wisely for the future. Keep in mind if your entry level job doesn’t cover the rent, maybe it’s not the time to flee the nest just yet. If you’re testing the waters maybe a room in a share house, rather than taking the lease in your own name, is best to start with. Moving in with someone is (almost always) the most cost effective option. On an emotional level, it can relieve some of the anxiety of moving out for the first time, especially if that person is someone you already know. One great option is to team up with a friend, look for a home, furnish it and move into it together. 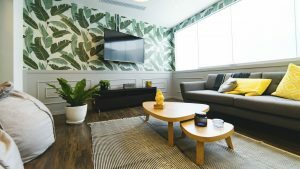 Another option is to move in with somebody who’s looking to share their apartment- that could be even more economical as it is likely their place will be mostly furnished. If you can afford to rent without roommates, you will probably want your first place all to yourself. It might be smaller and less accommodating, but it’ll be all yours. This is a really important one but how do you decide where to rent your first apartment? First of all, it needs to be close enough to your workplace, as well as other places of interest depending on your likes, wants and needs. For example, you might want to live near a gym, a park or a really good cafe. Importantly, it needs to be a safe area. Lastly, it is handy to be accessible and have good public transportation. This might even mean you could sell your car and say goodbye to your car repayments. Start your search online, and make sure you attend open houses as you can’t tell everything from photos. You will get a better sense of what your budget really buys you. And if you’re looking for someone to live with, ask friends or family if they know of anyone looking to move out or visit trusted house sharing sites online. It might seem like a decadent decision, and it’s the step that many unfortunately miss but its one you won’t regret: hiring a professional moving and packing services company. They will take the hassle and backache out of moving. You have enough to worry about with the rest of the small details, so let a team of full service movers and packers make your first moving experience a good one. Getting a quote from Mooving Matters will help you factor this expense into your moving budget well in advance, so you can stay on top of your finances. A knowledgeable full service moving team will make sure your move is quick, easy, and painless. And they can even help figure out where to put all of those random knick knacks. Be sure to hire movers and packers who are professional, insured, and experienced. Ensure to read their reviews on a third-party site before going ahead! Mooving Matters have great google testimonials to prove it! If you’ve been living the easy life without having to do many chores or watch your budget, it would be wise to start changing those habits now to make the transition easier. Pay close attention to your cleanliness habits and step them up. 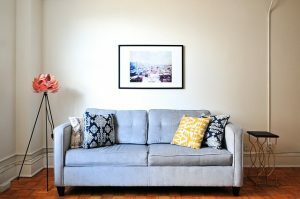 Start sticking to a budget now so you can get an accurate picture of your spending habits before relocating. If you don’t do your own washing, well now’s the time to start. Make sure you can do all the things you’ll need to do when you step out. If you are embarking on this just leaving school, chat to your parents. They’ve likely done this before, at least a few times, so they’ll be able to help you understand what to expect. It can be tempting to skimp on your furniture purchases when you’re decking out your first place, but even if you buy everything else second-hand or for cheap, you should at least invest in a good mattress. Sleep is so important and if you’re not sleeping well, the rest of your life will suffer. For a bed that won’t cost the earth look to Amazon.com, for example, they have some great deals on high-quality mattresses. If you want to go with a new Memory Foam mattress, it’ll show up vacuum packed into a box on your doorstep the same day. One of our biggest daily expenditures is on food. Takeout, and Premade frozen meals cost significantly more than preparing simple meals for yourself, they are also generally full of preservatives or fake ingredients that you shouldn’t to put in your body anyway. Start by getting to know your local supermarket & find foods in their most natural form. Visit the dry bulk section as well, where you can find rice, oats, and various other staples usually at lower prices. There are plenty of amazing blogs online with heaps of recipes, all downloadable for free. Choose a few recipes that appeal to you, and master them before you worry about becoming a master chef. Without sounding like your parents, try to keep on top of the chores like cleaning, cooking, laundry, and taking the bins out. 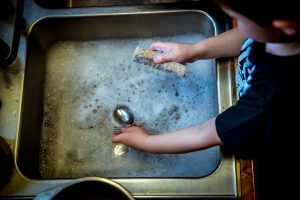 In those first few months of living out on your own, it can be tempting to let everything get a little loose such as a sink overflowing with dirty dishes, clothes that never get put away, a bathroom that just gathers soap scum… I’m sure you get the picture. Trust us after a while, you’ll wish you haven’t let things get so out of hand. Don’t revert to your teenage ways and, try to create (and stick to) a schedule of chores immediately upon moving in. If you have a housemate, get them on board so you can both contribute to keeping your house a home. And don’t forget to look after yourself: if you’re used to having meals cooked for you at home make sure you get into a groove of cooking for yourself, than skipping meals or relying on take away every night (that’ll eat up budget pretty fast). Communication is always the key to any relationship and it is no different for your flatmates or partner if you decide on not living alone. Avoid unnecessary disagreements by setting the house ground rules, always being open and respecting others’ opinions. Living independently for the first time you’ll face your share of bumps and hurdles, it’s the challenge of living with others. It’s not uncommon for such situations to make people a bit on edge or unsettled. Basically remember to work on expressing how you’re feeling to avoid frequent misunderstandings with those you live with. Being locked out is never fun and there’s nothing worse than the unpleasant surprise of the bill of an after-hours locksmith, so give someone you trust a spare key to your house. And No it isn’t wise to hide it under a rock or door mat. No matter how old you are, if it’s your first time out of home your parents or guardians will probably miss you. Touch base with them from time to time or go home for a meal. Just try not to bring your dirty washing over too often. You don’t need expensive cleaners for wood, porcelain and glass, they are a waste of money, and mostly full of chemicals and synthetic fragrances. You can make your own chemical free cleaners for less a few common house hold ingredients: white vinegar, baking soda, and castile soap. Need to scour your tub? Just mix up castile soap with baking soda and scrub. A 50/50 mix of vinegar and water, wiped with a microfiber cloth, will remove the grime from sink fixtures, and clear up streaks from mirrors, and also clean windows. Baking soda is great for the toilet pan too, just pour it into the toilet to coat the bowl, then spray with vinegar and scrub with a toilet brush. For tough stains, Borax is a natural but really effective ingredient that can be added to a baking soda-castile soap mix. If you’d really like to keep the electric bill down don’t only switch off lights but, unplug your electronics when you’re not using them. This is so energy can’t be drawn still when your electronics are plugged in, but not on. Unfortunately the electric meter still ticks away, and adds $ to your bill, even though you have turned everything off. You can make this easier by plugging things into a power board/surge protector that has an on/off switch so that with one flick of a switch you can stop the electricity for example to your entertainment system. In any move you need to plan ahead. So start writing lists and collecting things you’ll need for your new place. For example this can include furniture items, kitchen and personal essentials unless you’re planning on moving interstate or overseas. In that case, it’s smarter to buy those things once you’ve moved there. If you need help to getting started on organising your first move call on Mooving Matters your team of trusted and caring Professional home Organisers and packing services Sydney . To arrange a complementary on-site inspection of your property by Mooving Matters, your Movers and packers Sydney or to simply discuss our ‘Ultimate full service packing + moving’ experience call (02) 93375333 or visit us at moovingmatters.com.au.